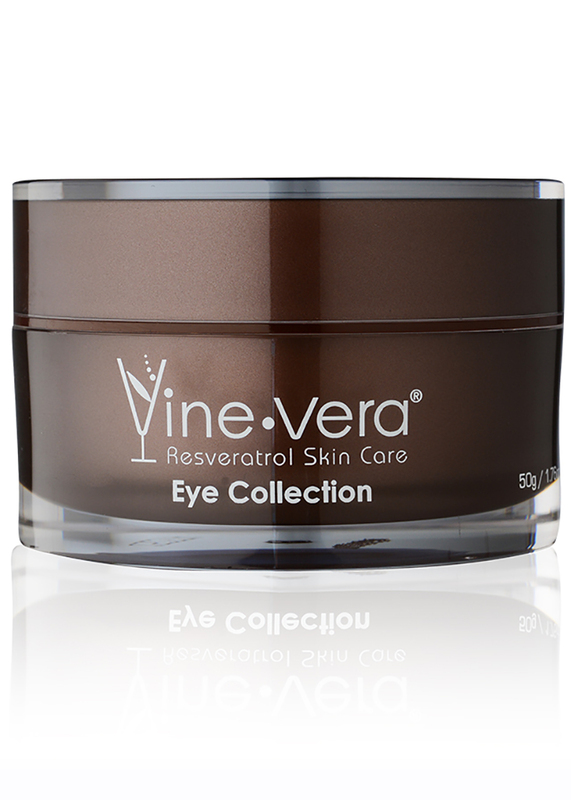 Resveratrol Eye Collection Dark Circle Eye Cream - Vine Vera U.K. 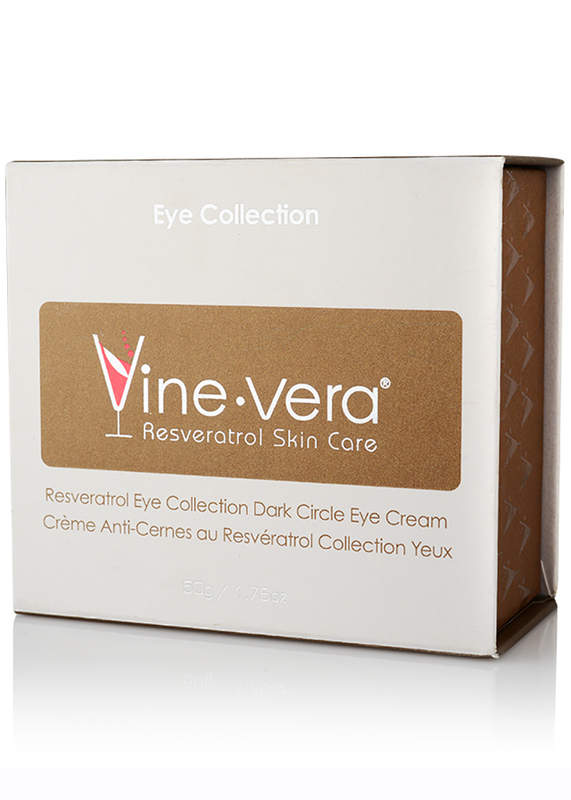 The Resveratrol Eye Collection Dark Circle Eye Cream is an advanced eye formula to reduce the appearance of dark circles and tired under-eyes. 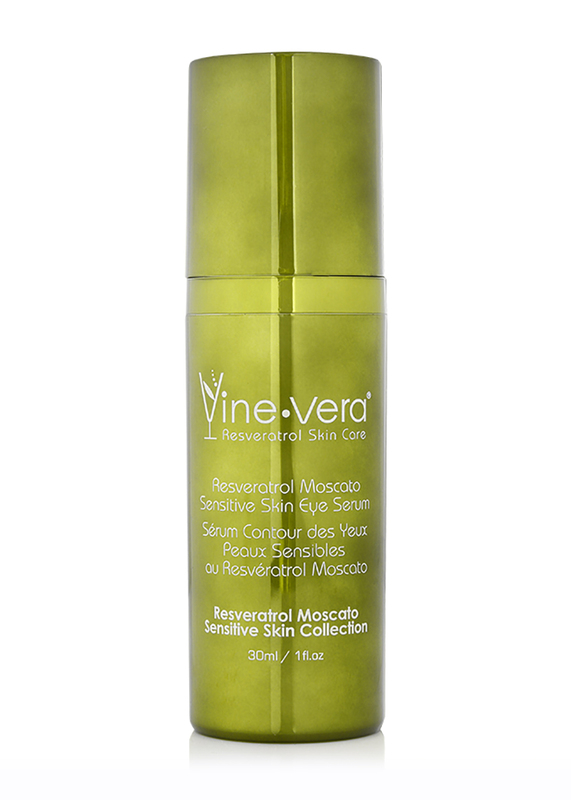 This expert infusion combines resveratrol, caffeine, vitamin A and vitamin E to soothe fatigued skin and awaken the eye area, leaving you with a more energised look. Apply a small amount to the skin under the eyes and along the orbital bone. Use daily. 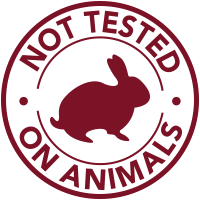 Aqua, Hydrogenated Polyisobutene, Cyclopentasiloxane, Cyclohexasiloxane, PEG-100 Stearate, Stearic Acid, Cetearyl Alcohol, Butylene Glycol, Caprylic/Capric Triglyceride, Glycerin, Glyceryl Stearate, Cera Alba, Myristic Acid, Phenoxyethanol, Glycine Soja Oil, Mica, Triethanolamine, Allantoin, Carbomer, Ethylhexylglycerin, Titanium Dioxide, Benzyl Alcohol, Pichia/Resveratrol Ferment Extract , Tin Oxide, Polyacrylamide, Caffeine, Tetrahexyldecyl Ascorbate, C13-14 Isoparaffin, Chitosan, Laureth-7, Retinyl Palmitate , Soluble Collagen, Tocopheryl Acetate, CI 77491. Having worked 20 years shift work combined with age my eyes have gotten the tired look over time. 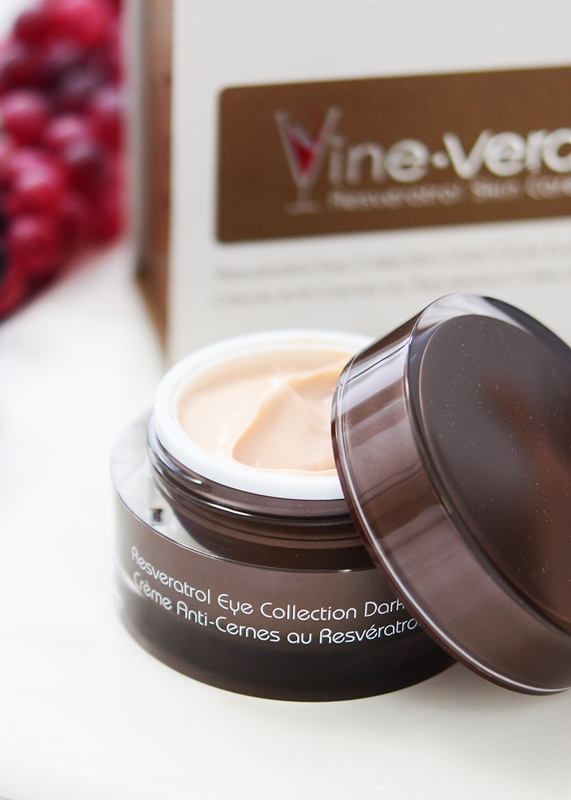 I purchased this eye cream as I was so impressed with the other Vine Vera products I bought. FINALLY I found a product which feels like heaven and has positive results ~ Thank you!!! i just love this eye cream, removed all my dark circle and lasts forever!! Just bought the eye collection. Had a gentleman stop me while at the mall. Of course I was very skeptical but once he put the product on me I couldn’t dispute the difference it made in how my skin looked. After much debating about products and how much I wanted to spend I walked away with two fabulous products that make me look younger and more vibrant. I am recommending these products to all my over 40 friends!! I work in a night shift and end up getting horrible looking eyes because of the lack of sleep. My dark circles had begun to make me look really horrendous. Thank god for the Vine Vera dark circle cream. It actually reduced the dark circles and made them go away over time. I think this is the best way to hide your dark circles after a long day or after lack of sleep. I found this product to be very very soothing. It offers a relaxed cooling effect when you apply it and it really does wonders with reducing the dark circles. I also think that my skin looks more hydrated now that I use this dark circle cream. Cannot comment on wrinkles, because I don’t have any. 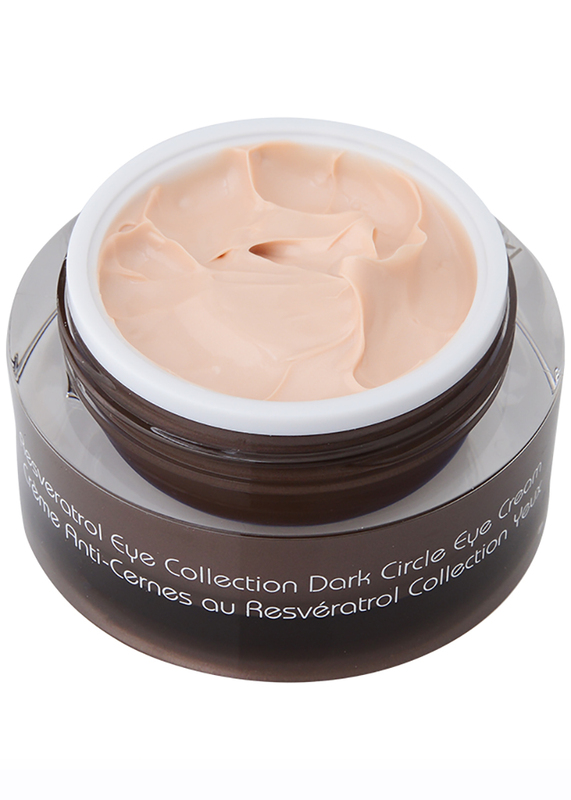 This dark circle solution is much better than any cucumber peel or cucumber product I have used on my eye area. It is very soothing, really hydrating and it makes your eyes look better instantly. I have tried so many products on my eye area, but nothing was this effective. EVER. I had begun to see dark circles and the first sign of wrinkles around my eyes. A friend suggested that I try out the Vine Vera dark circle cream and I am very impressed. The product is a bit expensive, but it really works wonders for your eye area. Dark Circles? What Dark Circles??? The moment I saw this product, I knew that it would do the job. The way it looked and was described and the reviews that this brand got, really helped my decision. I am glad to have purchased this product because it really works wonders on my skin and helped to get rid of my dark circles. I haven’t been sleeping well of late. As a result, I have developed huge dark circles under my eyes and they make me look horrible. I tried out this dark circle product at the store and it instantly made it look lesser. I bought the product then and there and am so happy with it. Thank you Vine Vera. I am a major party freak and I simply have to party every week. I think that the alcohol and lack of sleep had begun to show on my eyes in the form of dark circles. Thanks to this product, I can get back to partying without having to bother about those dark circles any more. I used one before leaving for work and my eyes looked very fresh. No one could determine I had partied almost through the night last evening. If you want to get rid of your eye bags, you don’t need anything else. 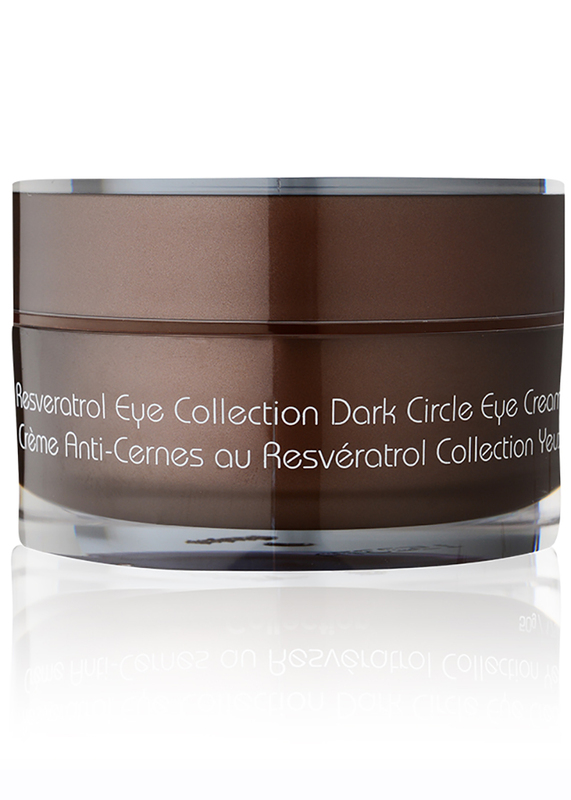 I have tried so many eye creams, but none were as effective as this dark circle eye cream. I think I really like this product and it really looks like that this one was custom-made for me. 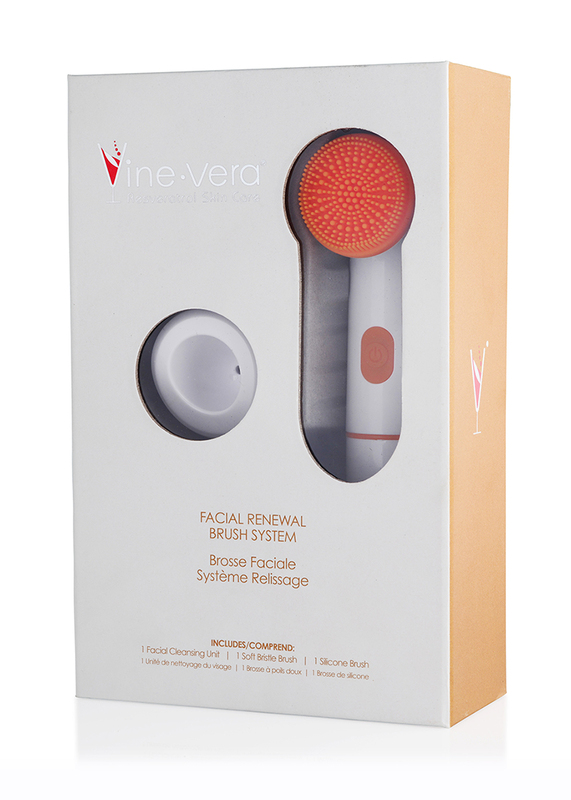 The Vine Vera product for dark circles is a perfect addition to your skin care routine. 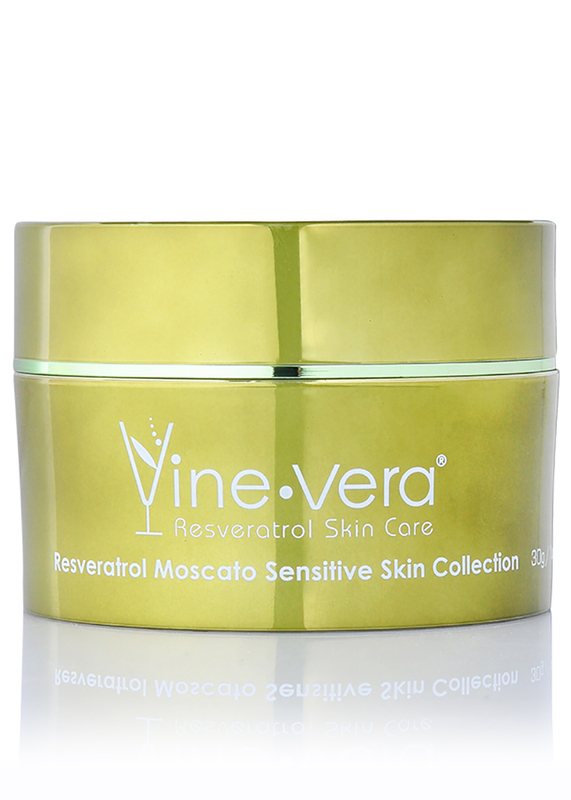 It is very soothing, hydrating and it works like a charm in diminishing your dark circles. The smell is very nice as well. I found the Dark Circle Cream to be complete value for money. It is expensive, but you need very little product while applying (I use 2 drops on the entire eye area). More importantly, the product is very effective. I love it. I have been using the cream for a few weeks and people have been telling me that I look younger. I had tried out a few other products, but never received such compliments before. I am very happy with this product. 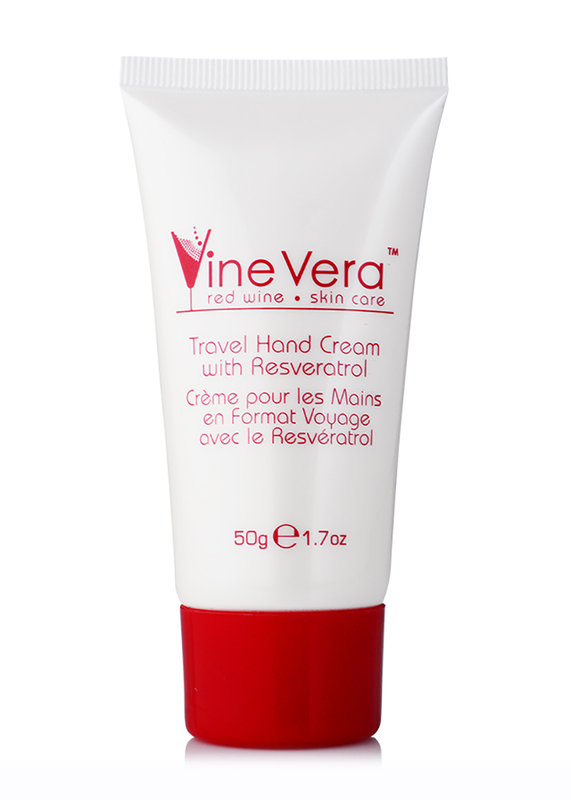 I love this cream because of its effectiveness. I haven’t been able to find a better one to hide the dark circles and my lines have also reduced in the past few months. I am delighted with this dark circle cream. This is a great product for your dark circles. 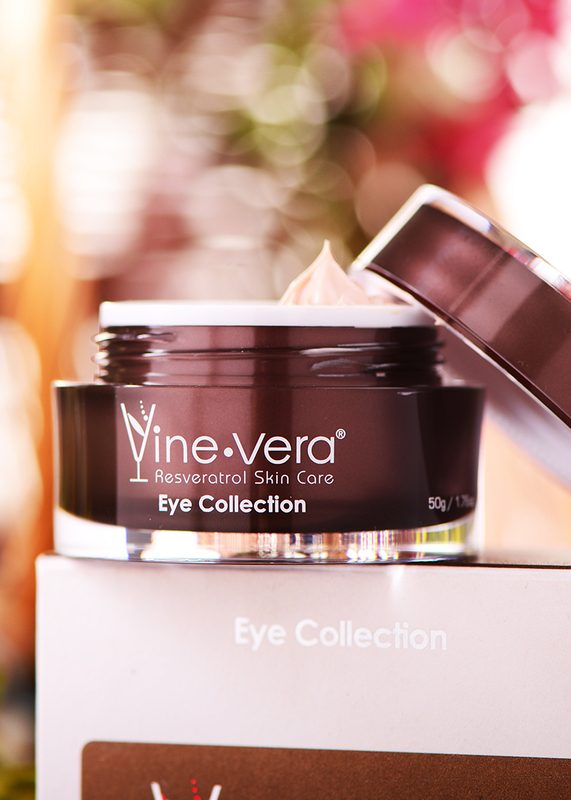 I had them for years, but never managed to get rid of them until I began to use the Vine Vera dark circle cream. I use this product every morning and it also hydrates my skin and protects it all day long. 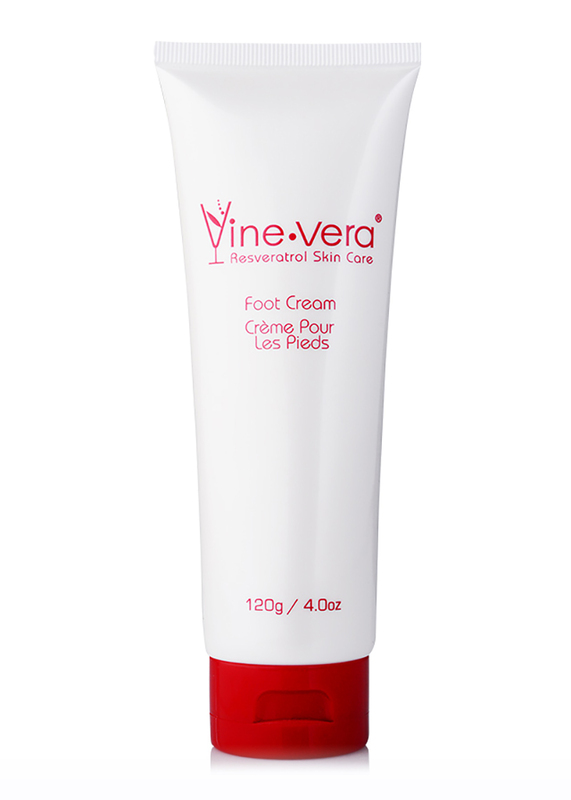 I love the smell of this cream and also the fact that it is very hydrating. It makes my skin feel silky smooth and it really works like a charm in getting rid of dark circles. I absolutely love this cream and use it every day before bed. I find a huge difference the next morning. It is super effective and you will enjoy that dark circle free look that this product gives you. It is a great skin product to have. I really like this product. The texture is soothing. I think my eyes are better these days with using this product. The cost is a challenge. I struggle with wanting to spend beyond my means, because the product feels so nice everyday to use. I absolutely love this eye cream it’s by far the best thing around!